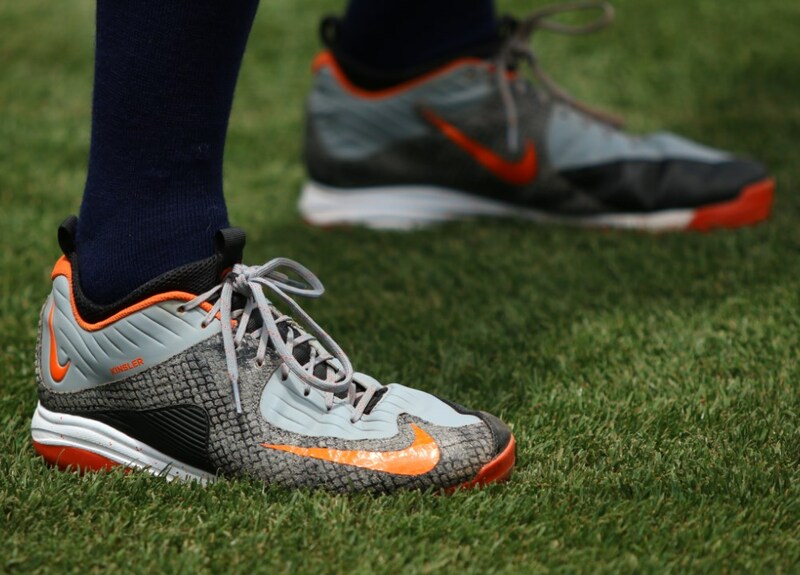 When Ian Kinsler was a Texas Ranger, Nike treated him well. He and Andrus were one of the freshest middle infield combos in the game. Now, he’s got a new jersey, but Nike is still taking good care of him. 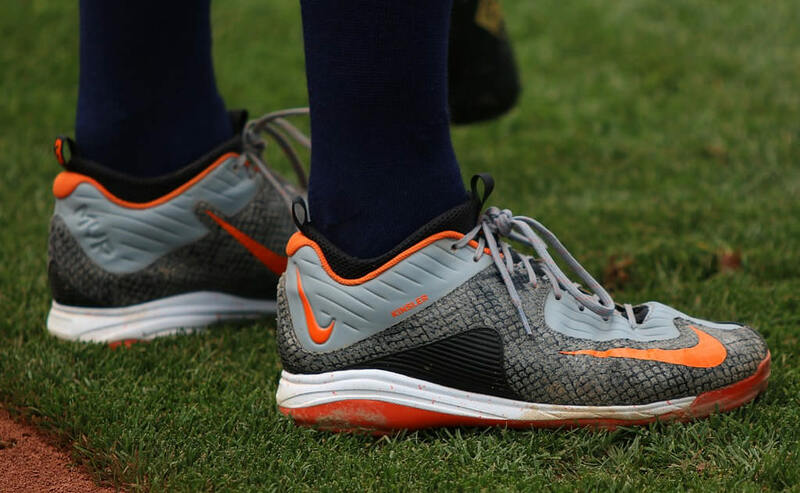 These Air MVP Pro 2 cleats have a snakeskin kind of look (though I’m not really sure that’s 100% accurate), a custom job that you won’t be able to find at the link. 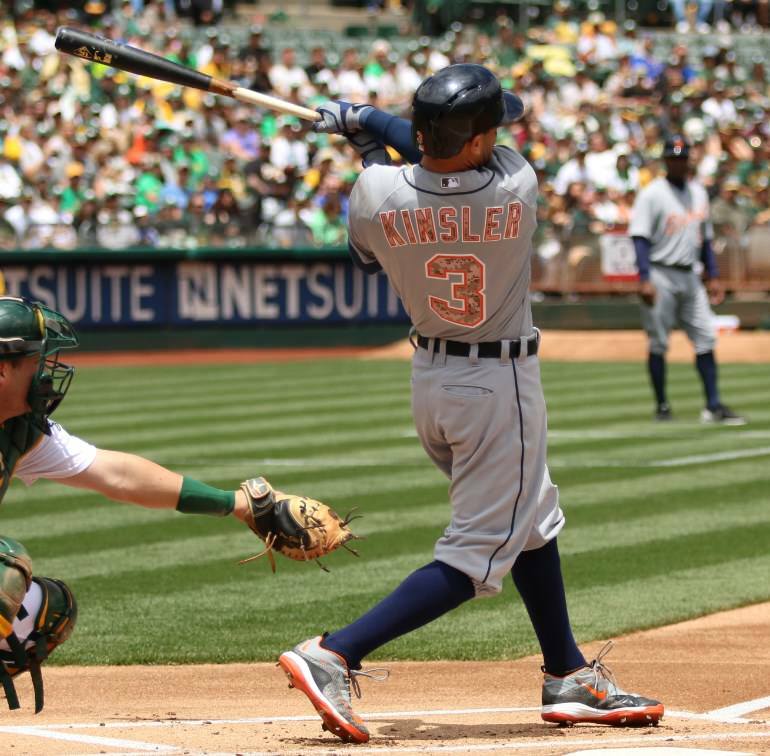 Categories: Ian Kinsler, Gear, Cleats, Detroit Tigers, Second Base.